There are parents who feel that they will lose their kids love if they are overly strict with them, and this is especially true for working parents who feel guilty as it is for not spending too much time with their children, and who do not want to spoil their time together by talking about rules. There are some other parents who are strict about the ground rules that they have laid out within their homes, and have earned their kids respect for enforcing them. All children do respect rules, and laying down rules is an excellent way to communicate to your children what your expectations of them are. Remain consistent in your ground rules and say “NO!” if you have to. Parents who know how to make sure that the rules are followed do earn the respect of their children. Make the rules simple and easy to follow, for even your young child. For example, if the TV is to be switched off at a particular time everyday, your child must know that this is what has to be done, without you having to repeat it seven or eight times. 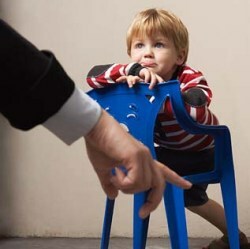 If possible, you could include your child when you are making the ground rules within the home. This will make the child more involved, and more eager and willing to participate; after all, he is the person who has laid down the rules, and how would it look if he did not follow them. The rules about going online must be strict indeed. Your child may be exposed to explicit content, to sexual predators lurking online, and so on, and it is up to you to exercise your best parenting skills to make sure that your child follows the ground rules that you have set for him on this issue. You can restrict the time, the sites that he visits, and you can appoint a ‘Net Nanny’ to protect your child. Also make sure that he NEVER gives out any personal information about himself online, including his address, telephone number, or even the school he attends. Most important of all, teach your child the consequences of not following the ground rules that have been set. Present a united front to the children if you are living with your husband or partner. Never let your child turn one parent against the other, and you too do not resort to such pettiness; it can allow your child the freedom to break any rule he pleases. We all know that parenting is one of the toughest jobs on earth, and bringing up a well adjusted, polite, well behaved, well mannered child, who does not do drugs, does not swear, does not curse you, and shows his love for you at every turn, and follows all the rules cannot be easy! All you can do is to be persistent, remain consistent, and keep trying!